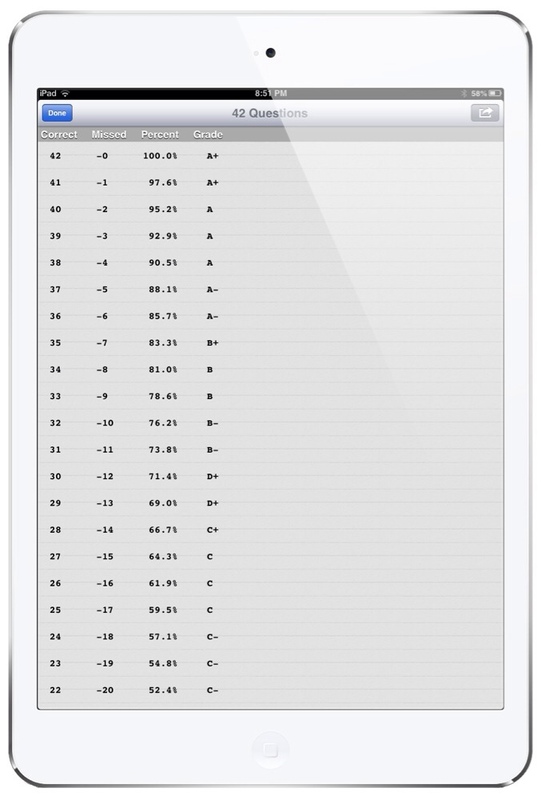 All teachers who do any sort of numerical grading will appreciate the app Grade It! (free, with a $.99 upgrade). 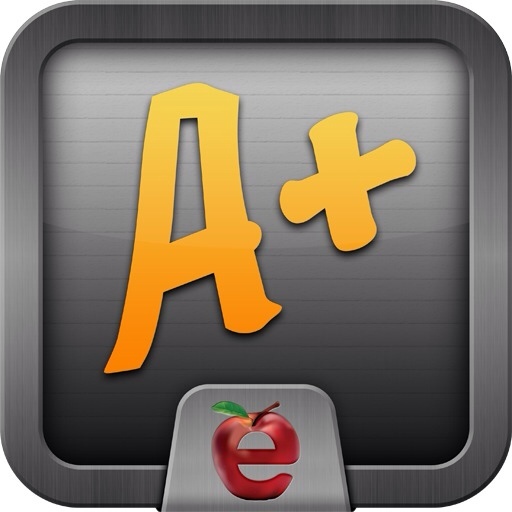 This app is simple to use and will save educators lots of time in giving grades instantly to our students. 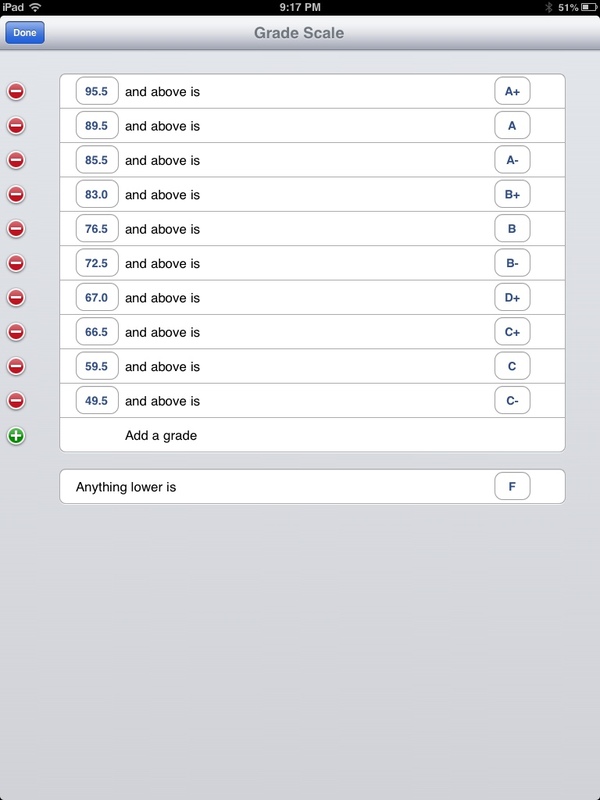 While I'm sure all teachers use a variety of good grading programs to calculate their grades on their computers, this iOS app will be a quick and easy way to figure out percentages and letter grades for all things that can be marked: essays, tests, quizzes, oral assessments, etc. I opted to go ahead and get the $.99 in-app purchase. This allows me to set my grading scale (96% or higher for an A+ etc.). As soon as I set my scale, it remains there until I need to change it again. Also, like the previously reviewed app Screenshot, my purchase goes across all my devices, meaning I only have to buy it once to have the feature on both my iPhone and iPad. Another cool feature is that you can email the screen above to anyone, perhaps to your students or to your colleagues who do not have the app. Now, as soon as I give out individual grades to my students for projects, tests, and other forms of assessment, I can quickly enter in the total marks and in less than a second, have a full screen of grades and percentages. I can tell them their grade right away. No more fiddling with calculators or doing quick division in your heads. Setting my grade scale was easy. Give the free version a try first. Like me, you'll probably opt to spend the extra dollar for letter grades. It will be worth it! Grade It! 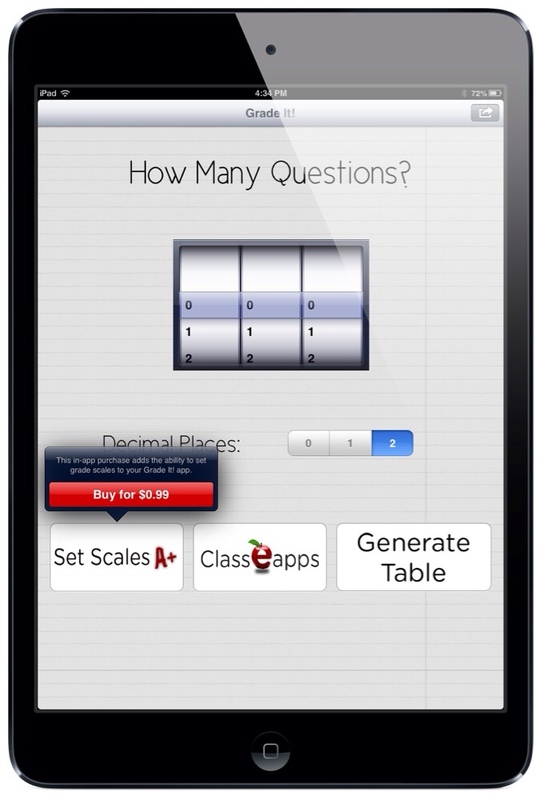 works well on iPod touch, iPhone or iPad and is guaranteed to save you time in the classroom. Next Post Dropbox App Updated!